For over 47 years I have been a student of firearms training. I started shooting and hunting when I was 8 years old. I was mentored in hunting and shooting skills by my grandfather and my father. Years later I took firearms classes, attended shooting seminars and courses, and I became increasingly involved in civilian, military and law enforcement shooting methods for firearms training, hunting clinics, and range safety programs. Since 1976, I have instructed countless firearms training events to thousands of people, both here at home and worldwide. As a gun enthusiast and as a shooter, I quickly learned that I must be able to stay balanced, and that I must be able to stand well in order to properly learn a variety of shooting techniques. Additionally, I learned why body positioning was so important to “all shooters”, as it applies to defensive postures or street combat practices. Many of us have also heard instructors talk about stable shooting platforms, static positions or dynamic movements, as it applies to training or street defense encounters. I found this quote to be an excellent example to use for my own firearms training, and for teaching others the same thought. 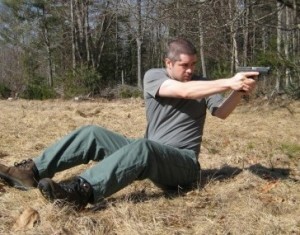 When you think about it, and when you have listened to the masses of certified firearms instructors out there like I have, you will undoubtedly get a lesson from them on how to stand well, what stable shooting platforms truly are, what shooting positions are the best for a variety of encounters, and how to maneuver yourself while you are shooting (on the run). So, are these training points important to us? Sure they are, but is that all we need to know, in order to survive a violent street encounter? I think not! As in many things, there are always two sides to a story, or in this case, two sides of the same shooters coin. As a student of shooting techniques, you will find that there are many instructors out there who will tell you that “positions” are more important to a shooter than stances are. Maybe they are, then again, maybe they’re not? And in my honest and professional opinion, a shooter must decide this for themselves, but only after they have accepted the challenges of learning, practicing, and then trying these techniques out for themselves. You simply cannot learn these lessons by just reading about them in a book, or in a magazine article! As a new gun owner or veteran shooter, please do not allow yourself to think for one moment that a poor stance will not disrupt your shooting patterns, your shot placement, or even your target engagement points. And if you think that it won’t, then you have truly missed a really important shooting lesson here. Ok, so now‘s the time for us to get real here folks! Let it be known that all stances are not created equal. Wow! That is shocking, but its true! Here’s another one for you. Newsflash, you will also find that not all body types are created equal. OMG, Stop the presses here everyone! And finally, let’s be honest here folks, it’s a tough lesson to learn but not all firearms instructors are created equal either. Oops, did I say that? Hmmm, So I guess I did! Just another shocking revelation to share! Why do I say this? Because there are many instructors out there who will teach you only “one stance”, or “one position” to shoot from. To me this is wrong, because in this case, one size or one stance does not fit us all. For anyone to have a street ready stance, while carrying a legal firearm, you need to create or adopt a natural stance that is ready for action, vigilant, but is not apparent towards others (whatever that might be for you). Of course, we also do not want to look like a “RoboCop” waiting for a villain to attack an unsuspecting victim, do we? (although in some neighborhoods this may not be a bad idea or presence to display towards others). For all of the stances listed below, you will find that it does not provide a complete list of all of the stances you will either encounter, be self taught, or be instructed to you by your firearms instructor. 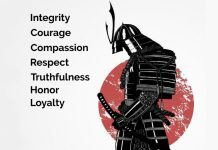 All of the stances listed will have their own respective strong points or even weaknesses, and must be considered by you, as you continue to train or practice with them further. Some of the stances that are taught by certified firearms instructors are; street ready stance, natural stance, proper stance, weaver stance, modified weaver, isosceles, modified isosceles, and even a horse stance (to name a few). Our list, by all practical purposes, can be tried, used, divided, adopted, discarded, or not even used at all. Yet the most important lesson or point for us to learn here is that “whatever stance works for you”, you must adopt it, practice it, hone it, and then make it a part of your own creativity. What are street ready postures or positions? Why are they so important to us and how can they be developed or practiced by the shooter while we are at a shooting range or gun club? 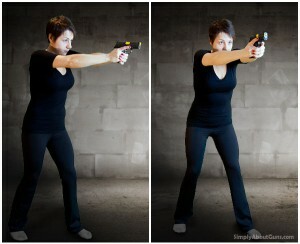 First, a shooter or someone who is tasked to be in a street ready posture or position is not always standing. Unfortunately, you will find that some instructors do not teach this in their respective classes. Too Bad! Other instructors will teach you that a shooter might be “kneeling”, as if fully or partially hidden behind a barricade or cover in their defensive postures. They might also be “crouching”, as if to hide or to remain undetected behind a structure or concealment area, but are unable to quickly go into a kneeling position. They may also be “lying down”, as if in a prone, side or supine position, or could have been knocked to the ground during an encounter by an attacker or an assailant. Lastly, they might be “seated or sitting down”, as if in a chair or park bench. They could also be seated in a vehicle, or sitting on the ground in a park, or even at their own homes. In order for us to have a street ready posture or position, it is recommended that you practice from these (other than standing) postures or positions often. However, it is not always an easy thing to do. Not all ranges or gun clubs will allow a shooter to shoot from a variety of positions (other than standing), and like those listed above. Many ranges will restrict a shooters movement, shooting positions, and even rates of fire while on their premises or gun range. In an attempt to expand your training or practice regime, and as a matter of range safety or proper range etiquette, get permission from the range master or range owner to practice alternate shooting positions, as needed for your training benefit. Once a shooter learns a new shooting technique or method, they must practice, practice, and practice it more, until their actions becomes a part of them. There is no thought here, just do it! Why is this? Psycho Motor Skills development in firearms training is developed through proper instruction, repetitious training, muscle memory reflex, and the consistency of practice. Therefore, when you practice the same action, the same routine over and over again, it becomes second nature to you, and is becomes a part of you! Don’t think, just do! There are many factors [while in practice and in real world situations] that will affect your shooting stance or positions. You will find that environmental, mechanical or physical factors can, and many times will affect your shooting position or stances. Some of these examples are; rough terrain, weather conditions, mobility, clothing, shoes, equipment, weapons carried, engaging or disengaging from a target or threat, your proximity to others, obstructions, etc. A shooter must train in a variety of conditions, terrains, and restrictions whenever possible. 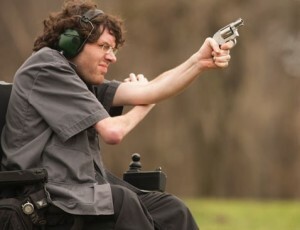 For those of our readers who are disabled, and as a matter of support for our brothers or sisters who are, you will find that by “balancing yourself”, to the best of your ability, is as important for proper shooting technique as it is for “stances” to those who can stand on their own. I encourage all shooters who are disabled to find a certified instructor in your area who will teach firearms training to our disabled friends and neighbors. And if you cannot find one, you can always give me a call! It is my suggestion that you practice them all [stances, postures or positions], with numerous repetitions and countless practice sessions or drills, often. 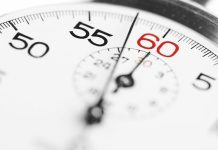 You will find that “once is never enough” when you are learning a new shooting technique or shooting method! Try them all, but adopt only what works for you! 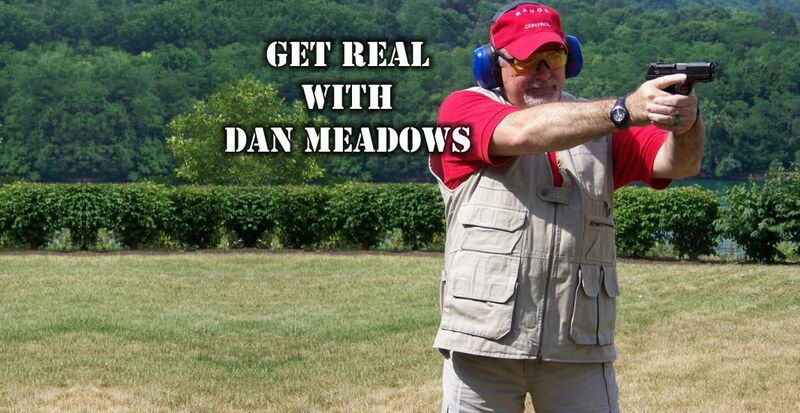 Dan Meadows - Get Real! 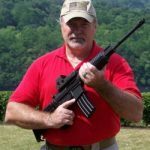 Dan Meadows is a firearms, archery and edged weapons expert, and technical consultant for all types of firearms, bows, knives, and tactical weapons usage. He travels to train, coach and consult others on firearms and archery marksmanship, multiple weapons training programs, martial arts, survival, and in emergency preparedness. How A Disaster Disarmed America, Or Was It Something Else? Get Real: America – Soft Targets Among Us!